Amy Wong has more than 22 years of experience in fundraising, marketing and communications, mostly in the nonprofit sector. She has received national and regional recognition for programs she has developed. 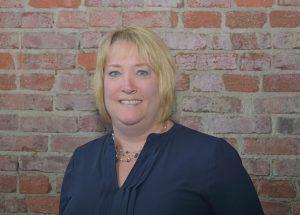 Amy has experience working for small, medium and large-budget organizations and has held management level positions that help her understand how to manage large complex projects and teams. Amy’s positions and experience have given her the opportunity to create fundraising marketing and collateral materials, and develop radio and television campaigns, media relations/social media strategies, gift policies and procedures, operations manuals, comprehensive campaigns, strategic plans, planned giving strategies and major gift protocols. She has developed several successful programs that have generated significant revenue, exposure and community involvement. Prior to starting her own company in 2009, Amy worked for several organizations with a national presence including Bowling Green State University, Akron Children’s Hospital and The Cleveland Orchestra, where she was responsible for raising dollars and promoting the brand of these institutions. 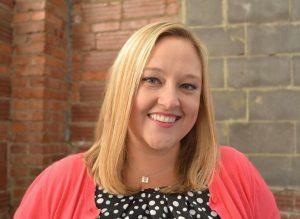 Amy has a Bachelor of Science in journalism/public relations from Bowling Green State University. With 12 years of experience working for nonprofits, Sara Lundenberger has gained extensive knowledge in fundraising and marketing. Her strengths include annual giving campaigns, special event fundraising, program development and corporate giving strategies. Sara is extremely knowledgeable about the role social media plays in development and has used social media and peer-to-peer fundraising techniques to take programs to the next level. Her unique background in education coupled with her leadership training allows her to work with many different groups and organizations to tailor a successful and sustainable plan. Prior to joining Dot Org Solutions in 2015, Sara held positions with Akron Children’s Hospital, the Pro Football Hall of Fame and Harrison Paint Company. She has a Bachelor of Arts in physical education from Mount Union College and a Master of Arts in organizational leadership from Malone University. Lauryn Rosinski has experience in and passion for public relations in the nonprofit sector. As a public relations professional, Lauryn has written and designed engaging press releases, social media posts, newsletters, campaigns and other marketing materials. Her work and educational backgrounds have helped Lauryn understand the importance of effectively telling her clients’ stories to their audiences. 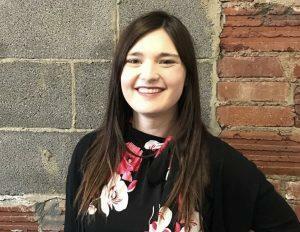 Prior to working at Dot Org Solutions, Lauryn interned at Summit County Children Services and worked as a marketing associate at the Houck Agency in Youngstown. Lauryn graduated from Kent State University with a Bachelor of Science in public relations.